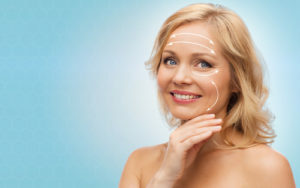 Mini Facelift vs. Full Facelift – Which Is Right for You? People doing what they can to look younger for longer is nothing new. Technology and technique is always advancing in the cosmetic surgery industry, and there are more options than ever for those looking to rejuvenate their face and seemingly go back in time. If you’ve spent much time researching, you’ve likely come across the facelift and the mini facelift. They are two of the most common cosmetic procedures, but they have some differences. For the absolute maximum in rejuvenation, a full facelift is the gold standard for many people. Full facelifts remove excess skin around the face, and tighten the underlying tissues below the jawline, cheeks, neck, and middle of the face. Full facelifts are great for eliminating loose skin around the entire face and reducing wrinkles in general. Due to their comprehensive nature, full facelifts are inpatient procedures that use general anesthesia and take several hours to carry out, sometimes requiring an overnight stay in the hospital. Recovery times are longer than those for a mini facelift but offer more permanent results. If you have just one or two problem areas you want to address, or you don’t want to deal with general anesthesia and longer recovery times, the mini facelift is a great option. This procedure is great for reducing minor sagging around the cheeks or neck, and are less invasive than a full facelift, involving just a few small incisions under local anesthesia. The procedure typically takes less than two hours, and you can expect recovery time to take around a week. Whether you’re looking for a full facelift, mini facelift, or any other cosmetic surgery, Bayside Plastics’ Dr. Roach is happy to help. We take a comprehensive approach to your inner and outer beauty, and we can help you gain the confidence you deserve. Call us today at 1-813-528-8744 or visit us online to schedule your complimentary consultation.